... on the wild side! - New photos of ALL of our kittens! - We have cat beds for sale! - We are now able to offer Cat Wheels!! Click here to take you directly to the site to order, or visit our Cat Wheels page! Cat Wheels Now AVAILABLE to order!! ​ Frequently Asked Questions page! Click the "Like" button on our Facebook page to receive more frequent updates on litters and see more pictures of the kittens. 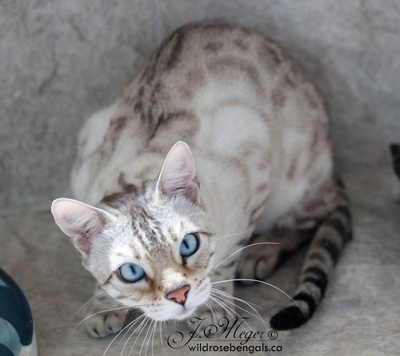 We ship our Bengal cats/kittens throughout Canada as well as some locations Internationally! WILDROSEBENGALS is located in our home in Edmonton, Alberta, Canada. Our cattery was named after our beautiful provincial flower, the wild rose. Because we are a small in-home cattery and our Bengal cats are raised under foot we can provide each of them with lots of TLC and one on one time. Our kittens are all raised in our home with our family and have free run of the house once they are fully litter trained. With Bengals you get affection, intelligence, and an energetic cat that gets along with other pets. Bengals will fetch, play in water and learn tricks. They like high places where they can sit and observe the world around them. Bengal cats come in a variety of colors including brown , silver, blue and snow, and charcoal varieties of all colors. 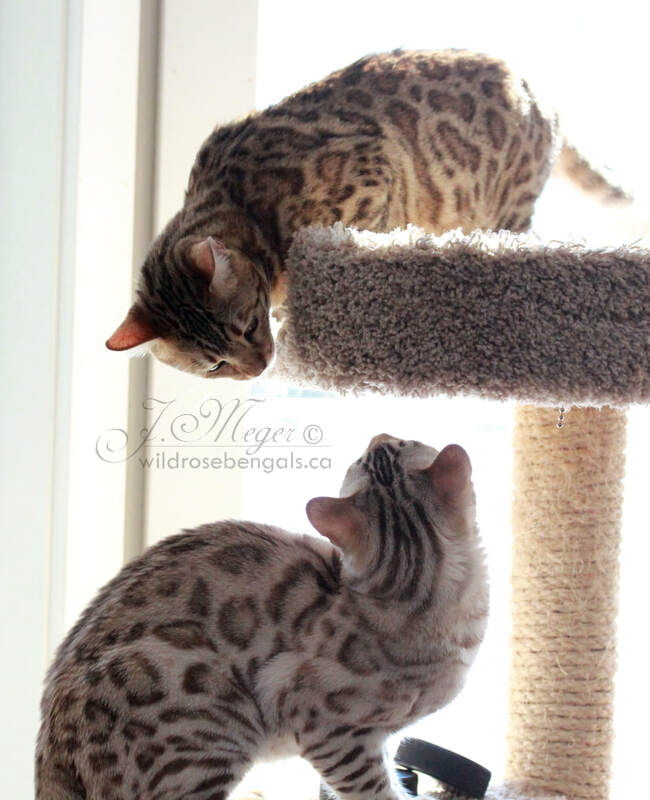 They are spotted (rosetted) or marbled (Wildrose Bengals specializes in Brown & Snow rosetted kittens). 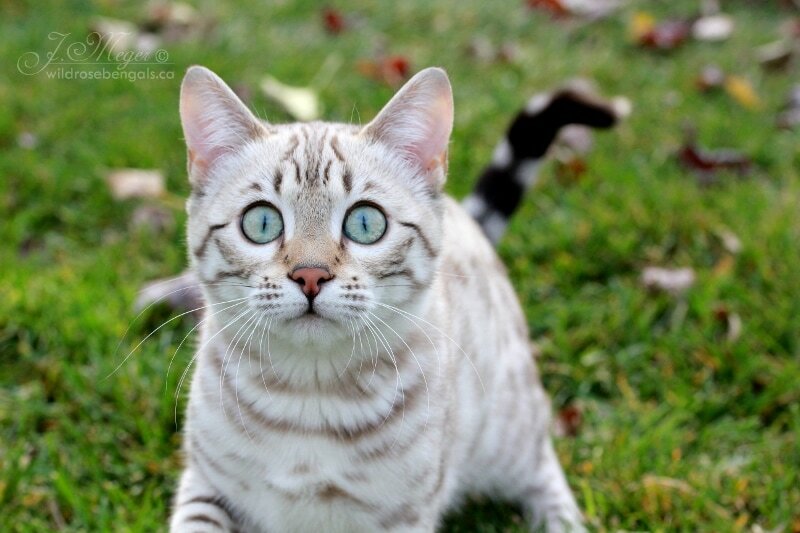 They have a short single layered coat called a pelt like that of a ALC (Asian Leopard Cat). Because of this coat some people with mild allergies are able to fill their dreams of owning a cat. We highly suggest that anyone with allergies test themselves out with an adult Bengal cat, preferably the parents of the Bengal kitten they intend to adopt. All of our Bengal cats are registered with The International Cat Association (TICA) and come with age appropriate vaccinations and a health guarantee. 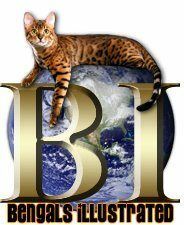 Wildrosebengals is a proud member of TICA (The International Cat Association) and TIBCS (The International Bengal Cat Society). Any potential buyers are welcome to visit our home (cattery) to view our Bengal queens and stud(s) at any time with an appointment. ​This cattery has NOT been inspected by and is not endorsed by The International Cat Association, Inc.